Your fuse board is the heart of your electrical installation. If it’s working well, the whole electrical system works well. A fuse board upgrade could save lives and ensure many years of safety for your household. 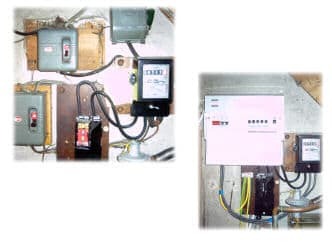 Tack Electrical will install a dual RCD (Residual Current Device) board, making sure that half the house is on one RCD and the other is on the second RCD. That way if you have a problem, and one RCD trips off, you can still run your home with minimal power and lighting until help arrives (see Helping customers 24-7). Any new fuseboard that we install will be fitted with dual RCDs. It will also come fully marked up with all your circuit information, full instructions on how to use the board, and with our contact number – so you’ll know who to call in your hour of need!